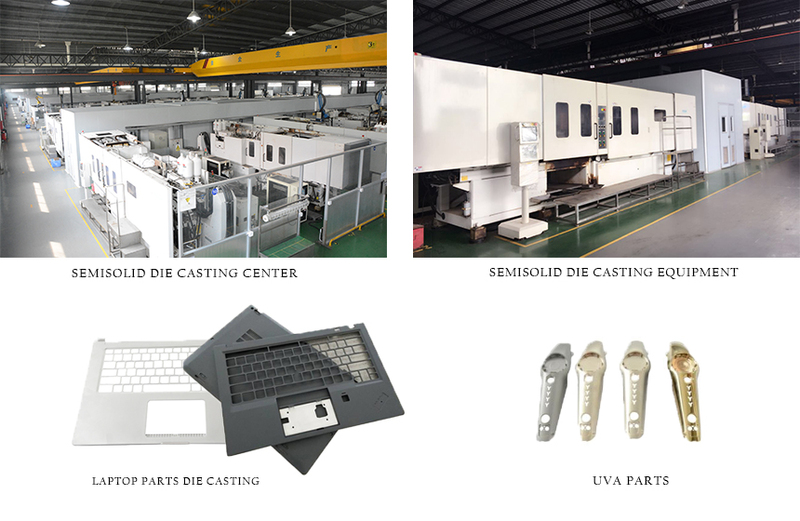 Product categories of Semi Solid Die Casting, we are specialized manufacturers from China, Semisolid Die Casting, Semi-Solid Die-Casting suppliers/factory, wholesale high-quality products of Semi-Solid Die Casting Technology R & D and manufacturing, we have the perfect after-sales service and technical support. Look forward to your cooperation! Semi-solid Die Casting: Semi-Solid Die Casting Technology is the magnesium and aluminum light alloy materials are heated to high speed and high-pressure Injection molding of semisolid metal. The product has high density, high strength, and high precision; shrinkage reducing alloy can bear higher pressure; semisolid slurry has no macrosegregation, casting alloy properties, forming time is short, mold consumption is small, and does not connect. Touch the air, no pollution. Compared with the traditional die-casting temperature 60~100 C, the melting damage is avoided, the porosity is 0.4 to 1.8, the porosity of the traditional die-casting is 2.5 ~ 3, the quality is improved, the mechanical properties are improved, the projection area is less than 800cm2, the thickness is more than 0.3mm, and the weight is less than 800g. Widely used in aerospace, automotive, communications, electronics and other industries, with "Lightweight, quality, efficiency, environmental protection, energy saving" requirements. Semisolid Die Casting is the main production process of our company, with about 100 people's design and development team to turn your ideas into products, 101 magnesium alloy semi-solid rheological die-casting, all imported magnesium alloy Semi Solid Die Casting machines, providing the largest, most advanced metal molding services. Semi-solid metal casting (SSM) is a near net shape variant of die casting. The process is used with non-ferrous metals, such as aluminium, copper,and magnesium. The process combines the advantages of casting and forging. The process is named after the fluid property thixotropy, which is the phenomenon that allows this process to work. Simply, thixotropic fluids flow when sheared, but thicken when standing. The potential for this type of process was first recognized in the early 1970s. There are four different processes: thixocasting, rheocasting, thixomolding, and SIMA.